(ATLANTA – January 16th, 2018) – The RADCO Companies (RADCO), one of the nation’s leading opportunistic real estate developers, had another year of strong multifamily growth in 2017. The Company acquired eight properties, refinanced 16 communities, sold five properties, and expanded its new “Radius” brand across more of its portfolio. The firm has grown its multifamily portfolio to include approximately 18,750 units that are strategically focused in target markets across Colorado, Florida, Georgia, North Carolina, Oklahoma, South Carolina, Tennessee, and Texas. RADCO Residential, the Company’s proprietary property management platform, manages all properties in RADCO’s portfolio and immediately assumes management of all new acquisitions at takeover. With eight acquisitions, totaling approximately $318 million, RADCO added 2,911 units to its multifamily holdings. The Company financed the acquisitions using agency and bridge financing and approximately $100 million in private capital. Acquisitions were concentrated in the Southeast, including Chattanooga, Tennessee, a new target market for the Company. RADCO also completed 16 refinances, totaling almost $402 million, and sold five properties, totaling about $180 million. Since August 2011, the Company has raised approximately $600 million in private capital to fund its acquisitions. To oversee its expansive multifamily portfolio, RADCO has grown from 150 to 550 employees in the last two years. In 2017, the Company was recognized for its rapid growth, ranking #1 in the Atlanta Business Chronicle’s Pacesetter Awards and #1 in the Association for Corporate Growth’s Georgia Fast 40 Awards. RADCO also ranked #875 on Inc. 5000’s list of Fastest Growing Private Companies, which recognizes the fastest growing companies in the nation. 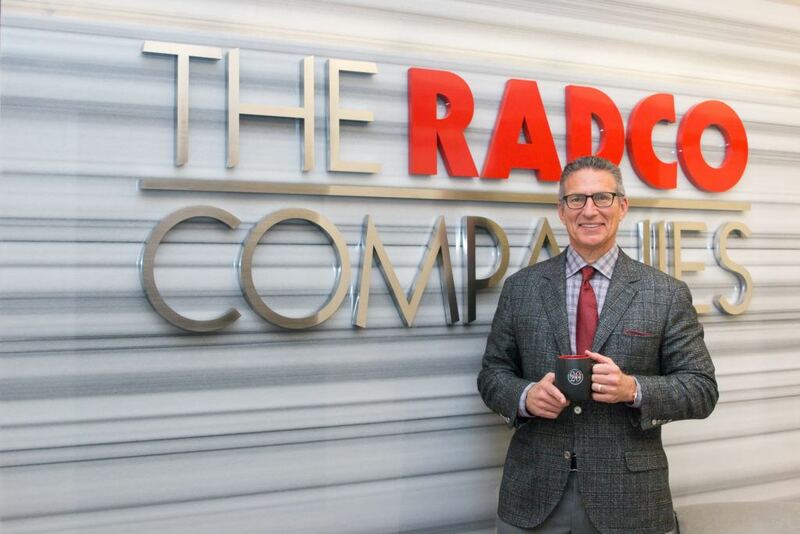 Additionally, RADCO expanded its higher-level Radius brand in 2017, which highlights RADCO’s belief that their residents’ wants and needs should be the center of focus in all day-to-day operations. To date, the Radius brand includes six properties: Radius Cheshire Bridge, Radius Sandy Springs, Radius Mountain Creek, Radius at West Ashley, Radius Palms, and Radius Winter Park. RADCO’s mission is “Building Better Living.” Based in Atlanta, the national real estate acquisition and redevelopment company was founded in 1994. The firm has grown its multifamily portfolio to include approximately 18,750 units in Colorado, Florida, Georgia, North Carolina, Oklahoma, South Carolina, Tennessee, and Texas. For more information, please visit www.radco.us.